Simplestream and BoxNation have today confirmed the launch of a new app for boxing fans on Apple TV. 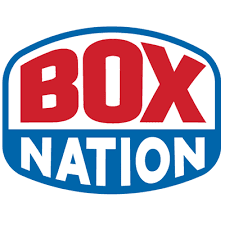 BoxNation is the only dedicated pay TV, SVOD and live streaming boxing channel in the UK and Ireland. The channel provides subscribers with access to live domestic and international fights, magazine programmes, exclusive interviews with current and former fighters, and classic fight footage from boxing legends like Muhammad Ali and Mike Tyson – all of which will be available to BoxNation subscribers on Apple TV. In conjuction with Simplestream’s proprietary Media Manager technology, the Apple TV launch follows the increasing demand for technologies that can efficiently and cost-effectively reach viewers across an expanding range of accessible TV services. ...commented Jim McMunn, Managing Director at BoxNation. This launch complements the existing suite of services that Simplestream provides for the channel. Simplestream enables the delivery of live TV, catch-up and VOD services to desktop, iOS and Android devices and Amazon Fire Stick.